Posted February 25th, 2014 by Anthony Thompson & filed under General Bankruptcy. As San Diego bankruptcy attorneys who have been solving consumers debt relief problems for 35 years, one of the major mistakes people make is not filing bankruptcy soon enough. People always seem to believe that they will be able to get out from under the mountain of bills. Of course, you might be able to, but you should never make any financial decision without sound planning and advice. There are certain markers that you need to look out for that will signal you might be an excellent candidate for San Diego bankruptcy protection. Sometimes you need to sit down and look at the numbers. We are here to give you guidance as to when it might be a good idea for you to seek the advice of San Diego bankruptcy attorneys. In choosing your San Diego bankruptcy attorneys, you will want to take several factors into account. First, you want to have bankruptcy attorneys who have a wealth of experience. Any lawyer can fill out the forms, but only a skilled, experienced bankruptcy lawyer can manipulate the code in order to best serve YOU. 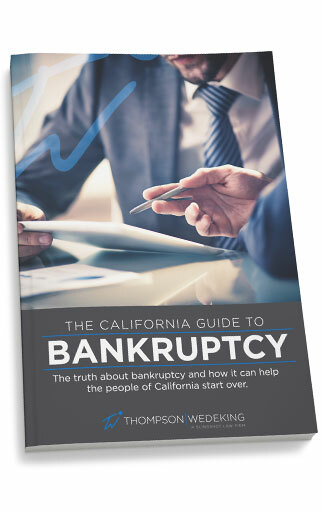 If your Chapter 7 or Chapter 13 lawyer does not understand the law or has not had any real life experience, you will get a boilerplate bankruptcy filing. Second, you will want to make sure that you are dealing with a bankruptcy attorney and only a bankruptcy attorney. One of our greatest strengths is the ability to provide personal attention to all our clients. You will never speak with anyone other than an attorney. We believe that your financial future is too important to leave in the hands of a paralegal or document preparer. Call our office TODAY to set up a free consultation with an experienced bankruptcy lawyer. 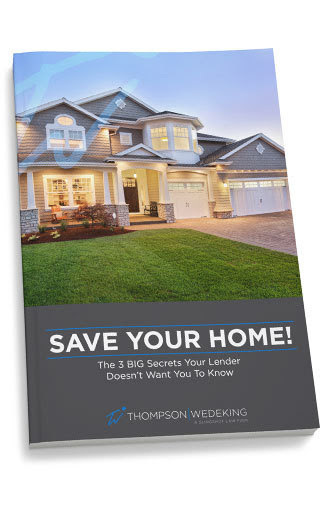 At Thompson | Wedeking, because we are San Diego bankruptcy attorneys, we will guide you through each step of the Chapter 7 or Chapter 13 or San Diego County foreclosure process. You can stop any financial crisis before it starts. Call us at 619.615.0767 for more information.